Robert Peterson has it all: a beautiful wife, a wonderful new son, and a strong congregation that hangs on his every word. But Robert is about to learn that one anonymous phone call can change everything...forever. How much evil can one man stand before he decides to take matters into his own hands? Better yet, how will he explain to his wife that their child has been kidnapped and that it's all his fault? When his haunting secrets are exposed, will his faith be enough to get him through his crisis call? Get the full movie and a 25 min full behind the scenes access of the making of CATASTASIS which includes bloopers, outtakes and more! Movie Synopsis: Robert Peterson has it all: a beautiful wife, a wonderful new son, and a strong congregation that hangs on his every word. But Robert is about to learn that one anonymous phone call can change everything...forever. How much evil can one man stand before he decides to take matters into his own hands? Better yet, how will he explain to his wife that their child has been kidnapped and that it's all his fault? When his haunting secrets are exposed, will his faith be enough to get him through his crisis call? Un misterioso llamante mantiene como rehén a un pastor en su propia casa, obligándolo a practicar lo que predica. 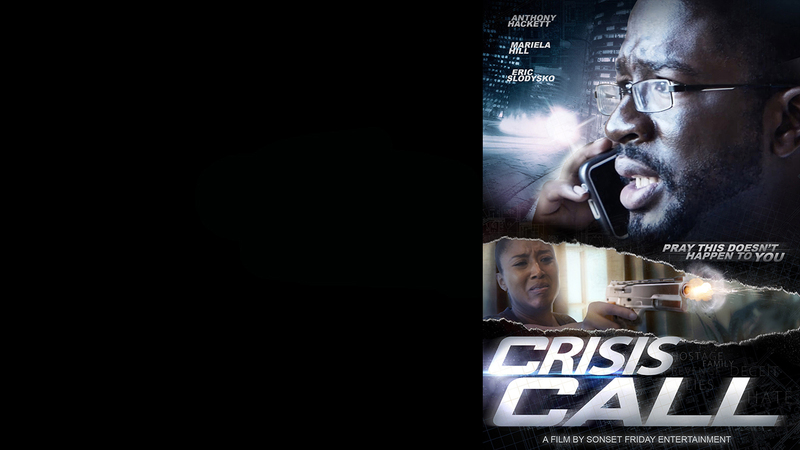 A full behind the scenes access of the making of CRISIS CALL which includes bloopers, outtakes and more! RT @UnstableNY: @SONsetFriday showing a teen group Love Different. There have been laughs and serious discussions. Love you Anthony!